It was a wild weekend of racing in the Alberta Mountains. The Shale Shaker is one of the toughest off road events in Canada - if you ask the top riders they will say THE toughest in Canada. It kept some riders away and attracted many others looking to take on the challenge. Riders raced up, down and across the mountains for two days with some sections requiring sweep riders to use long ropes and grappling hooks to help a few of the racers over the summit sections. Both days saw KTM's Bobby Prochnau and Honda's Jason Schrage put on a Battle Royale in the Pro class trading leads all day - in the end Bobby managed to win by a just few seconds on both days and capture the Royal Distributing Canadian Cross Country Championship West Championship. Husqvarna's Ryan Graffunder rode hard to manage third overall on both days and third in the Championship. Full results and points standings are available on the WEC site. The next round of the Royal Distributing CXCC will be back east in Parry Sound on July 27. Virtual Riding TV have posted a new video and we're a featured sponsor. "Motorcycle ride to the Valley of the Ten Peaks and Moraine Lake in Banff National Park, Alberta Canada. Moraine Lake was on the back of the Canadian twenty dollar bill from 1969 to 1979." Dates and locations are now available for KTM's RIDE ORANGE Moto Tour 2012. Sadly there's no east coast love but folks in BC, AB, ON and QC are in luck. KTM’s RIDE ORANGE Moto Tour is back for 2012, with 10 events across 4 provinces. The first demo ride takes place on April 15 in British Columbia and the tour wraps on May 19 in Quebec. NEW! Riders now have option of test riding motocross AND off-road bikes! If you’re interested in attending a Moto Tour, please register with your nearest KTM Dealer. Get a preview of KTM's Ride Orange Moto Tour with this video from last year's visit to Gopher Dunes. KTM Ride Orange Demo Tour from Greg Oldham on Vimeo. being finished and we are excited to announce a Trials program in Nova Scotia as well. Going into its 4th season the Royal Distributing Canadian Enduro Championship or CEC is enjoying continued growth and success. Bearing in mind WEC’s reputation of keeping fresh ideas coming, we have decided to expand the scope of the CEC by creating a Canadian Cross Country Championship or CXCC and combine the points from the CEC and CXCC to declare an overall Canadian Off-Road Champion. The title is awarded to the rider who demonstrates the best overall ability to adapt to a variety of challenges in 2 types of competition staged in very different terrain across the country. 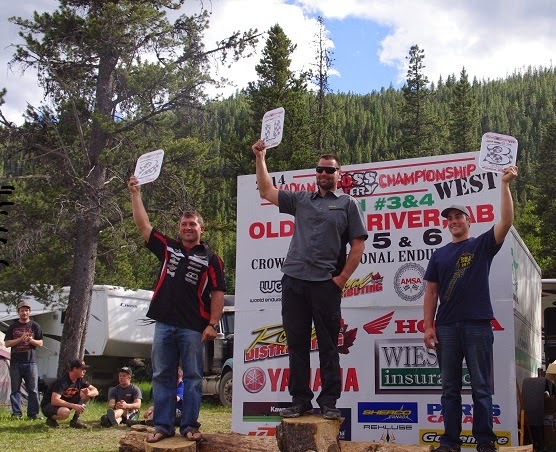 The Canadian off-road Championship is designed to be a fair and equitable form of competition that decides the winners based on sportsmanlike racing on a level playing field where the results are truly the results. Ontario will feature another spectacular Cross Country Championship series at proven venues across the province. We are very proud of this groundbreaking series as it has clearly introduced bold new ideas that never existed before in Ontario off-road racing. The fact that some other race organizations continue to adopt our ideas each year is proof we are improving the sport and giving the riders what they want and we are flattered by this imitation. By now it is commonly known WEC has been using its flawless electronic timekeeping system which we introduced in 2008 forcing others to follow suit. At this point riders accept nothing other than immediate results at race conclusion and posted immediately on our website. Who would have thought that having proper competition insurance would be something that would have to be shown as being mandatory? Racing at legal competition facilities that are in compliance by the local municipality is another “no brainer” that WEC has enforced and set the standard. Some of these changes were difficult to introduce as off-road motorcycling, in certain parts of Canada, has been stagnant for many years and some riders and organizers were very set in their ways and as such, we still have resistance to some of our ideas. Giving Pro payback was something new to off-road and some organizers were steadfast against it. We have fortunately arrived at a point where the concept has finally caught on and we are happy for that. 2012 will bring another first in off-road motorcycling soon to be duplicated by others; a kids only Competition Enduro Series! Due to the massive success of our annual “Shelburne Kids Enduro” it has now morphed into a series with accumulating points toward a championship. WEC has always focused heavily on the Mini segment in off-road racing shown from the beginning with our ground breaking Pee Wee Cross Country program. This new Kids Enduro Championship continues to show our dedication to the future of the sport. Watch for more details on dates, venues and class guidelines. With Mini riders racing against a clock, it is a fantastic way to introduce motorcycle competition to these young enthusiasts in a controlled environment. Stay tuned as we finalize our dates with facility owners. We must all respect that these valuable racing facilities have their own busy schedules and with other racing organizations. 2012 will be another great year for off-road motorcycle racing in Canada! The start of 2012 sees Deeley Harley-Davidson Canada and participating Harley-Davidson Retailers present the new 2012 model line-up at the Calgary Motorcycle Show this weekend, January 6 to 8, 2012, at the BMO Centre, Stampede Park in Calgary, Alberta. On just over 6,300 square feet, an impressive line-up of 2012 Harley motorcycles will be showcased, including the popular XL 883 Sportster SuperLow motorcycle, with a Canadian suggested Retail price of under $10,000, the new and versatile Dyna Switchback motorcycle, and the audacious, yet understated, limited edition CVO Road Glide Custom motorcycle. Visitors will be able to explore the world of H-D1 Factory Customization through an interactive display. Whether we are talking blacked-out, stripped-down, or chromed-out bikes, the H-D1 Customization Program brings together all of the exclusive parts, processes, and people necessary to allow users to design, build, fit, and personalize a Harley-Davidson motorcycle to be a Custom of One. To build your dream Harley motorcycle, visit www.harleycanada.com/hd1bikebuilder. Friday January 6 is SHE RIDES NITE, an industry celebration of women who ride and women who are interested in the sport of motorcycling. That night, all women in attendance will receive a special giveaway at the Harley-Davidson booth. Throughout the Calgary Motorcycle Show, visitors will be able to sit on the motorcycles, interact with the displays, and receive useful information from a team of knowledgeable staff. They will also be eligible to enter the draw for a $1,000 Harley-Davidson gift card, as well as pick up a copy of the brand-new published 2012 Test Our Metal Program Calendar, which outlines when, where, and how you can test-ride the new model Harley-Davidson motorcycles for free! The calendar is also available online at www.harleycanada.com. Jeff over at VRIDETV has posted a new video of a motorcycle ride on the Kananskis Trail in Alberta and listed us in the credits. Thanks Jeff! Here's his description of the ride. Travelling in Kananaskis Country is incredible, it's filled with beautiful scenery, wildlife and windy roads. The Kananaskis Trail (Highway 40) begins about 20 minutes East of Canmore Alberta and is definitely one of my top five favourite roads to ride. It was a real treat to capture these big male elks rattling each others antlers near the end of this video. Be sure to check out VRIDETV for all sorts of useful information and HD video's. BMW Motorrad Canada will be attending the MMIC Motorcycle shows this coming season. Come check out the 2012 line-up, including the all-new Maxi-Scooters – the C600 Sport and the C650GT and our newest Enduro bike the G650GS Sertão. 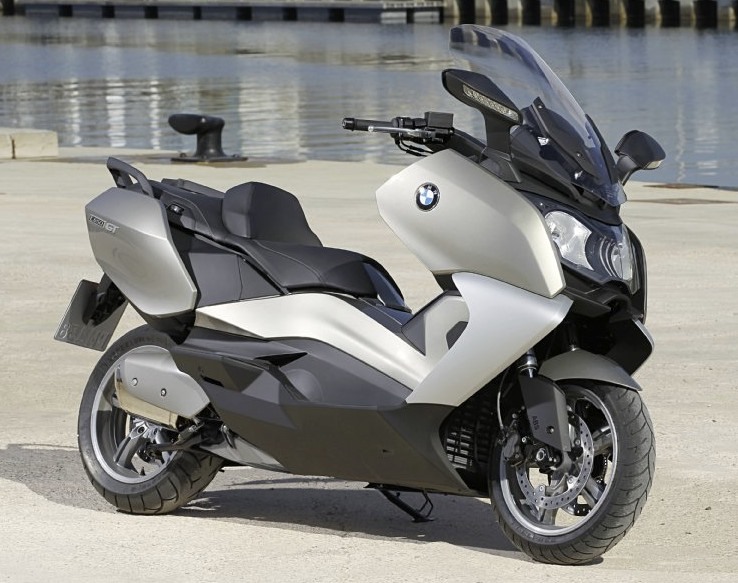 As an added bonus they're going to have a ballot box at the events that you can for a chance to win a 2013 BMW C650GT Maxi-Scooter. Contest ballots will be available at MMIC motorcycle shows, BMW Motorrad Canada retailer demo ride days and other BMW Motorrad Canada events across Canada. *Freight, PDI, taxes, admin. fees, licencing, maintenance and fuel costs not included in prize. Price subject to change without notice. If you reside in Alberta, BC, or Ontario you've got a opportunity to take part in the Yamaha Motorcycle Power Tour. It was scheduled to make a few stops in Quebec too but it looks like those dates have been canceled. The demo rides are no charge and you'll have a chance to test ride many of Yamaha's latest cruisers, sportbikes, dual-sports, and scooters. Make sure you bring your MC license and riding gear. Place: J&B Cycle&Marine Co. Ltd.
Place: R.L. Equipment Sales&Services Ltd.
World Enduro Canada is pleased to announce that West Jet is once again offering a 10% discount on flights for the Canadian Enduro Championship. In order to recieve the discount you must CALL West Jet the discount will NOT work if you book online. Call 877-952-4696 (7am - 5:30pm mountain time) and use discount code CC7035. The discount is good for flights into Kamloops, Calgary, Montreal and Toronto for 3 days prior to and following each event. See you at the races!! The winter is slowly fading away and another exciting year of racing is rapidly approaching. World Enduro Canada is pleased to announce the details on our first four rounds taking place in BC and Alberta in July. This year we will begin the season at a brand new location - Sun Peaks Resort in Kamloops, BC. Canadian Enduro Legend Guy Perret and his crew are putting together an exciting, spectator friendly event at this beautiful resort. WEC's Sean Wiesner - "We are very fortunate to be working alongside long time friend Guy Perret organizing the 2011 British Columbia round of the Canadian Enduro Championship. Guy's wealth of experience in international competition will be a great benefit to the series and help continue the high standards set by the SODBC crew in 2009 and 2010." Plans are already in the works to switch the east & west rounds in 2012 and have Sun Peaks host the final rounds in September. This will be a great time of the year to visit the mountains so start your 2012 holiday plans now to join us. Following Kamloops the series will head to picturesque Blairmore, AB in the Crowsnest Pass. Clint Riviere and his Full Gas crew are working on a brand new course that will be certain to challenge the riders and entertain spectators. The Blairmore events have always been very popular with the riders. The elevation changes, demanding terrain and breathtaking scenery make it a can't miss event. To add to theexcitement this year the Thunder in The Valley festival will be taking place on the same weekend. This annual fireworks display is one of the largest in Western Canada and attracts thousands of visitors, many of whom will have the chance to watch enduro racing for the first time. The added media attention will be a huge shot in the arm for the series and riders. After the western rounds are in the books the series will travel east for Rounds 5 & 6 in Quebec on September 10th and 11th and the final rounds in Ontario the following weekend September 17th and 18th. A formal press release on the eastern events, including details on a new Ontario location, will be coming out in a few weeks. Please visit our site www.worldendurocanada.com for specific event details as they become available. See you at the races!!!!!!!!!!!!!! We're a few days too late giving you notice about the Toronto show but there's still plenty more! The manufacturers will be showing off their new models. BMW are going to be bringing their all new 1600's by the way. So, come check out the 2011 line-up, including the all-new 6-cylinder K1600GT/GTL, G650GS, the updated R1200R, and the new R1200GS Triple Black. Click here to visit the MMIC listing of all the events. Harley-Davidson will bring a new and exciting look, feel, and attitude to the 2010/2011 Motorcycle & Moped Industry Council (MMIC) Canadian Motorcycle Shows, with a new display area and a variety of activities designed to inspire the desire to ride. From Sportster models, starting under $10,000 CAD, to luxurious and premium quality CVO Ultra Classic Electra Glide models, the 2011 Harley-Davidson motorcycle display will have something to fulfil everyone’s dreams. Activities at the seven Canadian events with Harley-Davidson participation will also include displays of Genuine Motor Accessories and MotorClothes merchandise, as well as the Fit Shop interactive motorcycle for customization, racing displays, and the chance to win great prizes. The MMIC Canadian Motorcycle Shows will be proudly presenting SHE RIDES NITE with discounted admission for the ladies. As a member of the Motorcycle & Moped Industry Council (MMIC), Deeley Harley-Davidson Canada will be offering bike lift demonstrations – a very useful technique to lift a motorcycle effortlessly. 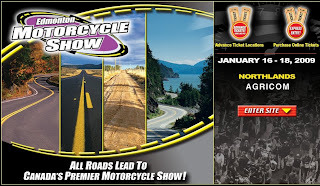 MMIC Canadian Motorcycle Shows events with Harley-Davidson® participation run from mid-December 2010 through the end of February 2011 (see detailed schedule below). Edmonton’s initiative relies on new equipment that enables police to measure motorcycle noise. They began conducting spot checks in high-traffic areas on July 1, with officers conducting a two-stage test, assessing the sound of a motorcycle motor when idling and also when revving. Bikers found to have machines generating more than 96 decibels are subject to a $250 ticket, with fines going up to $10,000 for repeat offenders. Want to see how it`s done - here`s a link to a CBC article with further information. Once again the friends of the Royal Distributing Canadian Enduro Championship at West Jet have stepped up with a discount deal on flights for the Royal Distributing Canadian Enduro Championship. They are providing 10% off thier lowest rate for flights to Calgary and Kelowna for the western rounds and Toronto and Montreal for the eastern rounds. The discount is good for up to 3 days on either side of each event. Call 877-952-4696 and use discount code CC5986 and be sure to thank them for thier support. BMW Motorrad Canada, confirming that it will be fielding a two rider factory superbike team in the Parts Canada Superbike Championship in 2010, is also pleased to announce a collaboration with Rush HD as the title sponsor of the Rush HD/BMW Motorrad Canada Superbike Team. 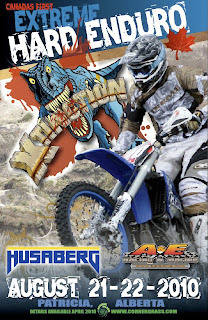 Rush HD is Canada’s only high-octane, no fear, no limits extreme sports adventure HD channel. Rush HD is owned and operated by High Fidelity HDTV Inc., Canada’s leading HD broadcaster and production enterprise whose four all-HD channels provide Canadians with best-in-class non-fiction programming on the themes of Nature, Culture and Adventure. Chris Duff, Manager, Motorrad Marketing, stated, “We are thrilled to have Rush HD onboard as we prepare and race the most exciting new entry in the 2010 Canadian Superbike season”. Both riders from BMW’s 2009 team, Francis Martin and Michael Ferreira, will once again be the riders in the hot seat, tasked with bringing a superbike victory to BMW Motorrad Canada in 2010. Francis Martin is no stranger to racing in the Superbike Class having won two Canadian Superbike Championships in 1999 and 2005 respectively along with another litre bike title in 2002, the Pro Open Sportbike Championship. “I'm very exited about the next season and have been waiting for this moment for a long time” says Francis Martin. “Now we have the bike to win and the tuner with whom I won my last championship”. Michael Ferreira will be making his Superbike Class debut in 2010 and continues his streak as the longest serving rider on the team after racing the BMW boxer twins in Canadian Thunder and Pro Sportbike classes since 2007. Ferreira, the winner of the 2006 RACE Pro 600 Sportbike Championship, will not have any trouble transferring his skills back onto an in-line four race bike from the twins he recently has competed on. When asked about his thoughts of racing in the Superbike Class, Ferreira had this to say, "From the day I started racing, my dream was always to race in the premier class against the best riders in the country. Three years ago I was blessed with an opportunity to race for BMW and it’s been an experience of a lifetime with what now will be the highlight of my racing career. I couldn't be happier than to share this experience with the brand that has had so much faith in me." Joining the Rush HD / BMW Motorrad Superbike Team this season is famed Canadian superbike tuner Patrice Goyette of Mobile PG. Patrice recently was the main crew chief behind Clint McBain of Acceleration Racing the past two years and has a previous relationship with Francis Martin from when they won the 2005 Canadian Superbike Championship. With the launch of the new S1000RR, BMW Motorrad now has the arsenal needed to fight for superbike championships worldwide and Canada is no exception. The 2010 Canadian Superbike Championship begins with Round 1 from the ICAR facility at Mirabel Quebec May 28-30 and then continues for Rounds 2 & 3 at Calgary’s Race City Motorsport Park June 24-27. Rounds 4 & 5 will be the annual mid-summer Mosport Doubleheader Weekend July 8-11 and the final two rounds, Rounds 6 & 7 will take place August 5-8 from Shubenacadie Nova Scotia. Follow all rounds of the Canadian Superbike Championship on TSN HD in 2010. DMX recently had the opportunity to interview Shane Watts - an off-road riding whiz and very winning rider. He's going to be doing some racing in the Canadian Enduro Championship series and is signed up for the Alberta rounds. His off-road riding school sessions are increasing in popularity in the US and he's still offering some dates in Canada; operating out of the Ganaraska forrest in Ontario. Shane Watts is a legend. He’s won the overall at the ISDE on a 125. He has an AMA GNCC title and once holeshot a WORCS race on a 200 two-stroke against a gate full of 450Fs. He has an FIM World Enduro Championship title and an Australian National Motocross title. Yes, the man from OZ has done it all. I’ve met Watts a couple times, the latest one a couple years ago when I coerced Derek Schuster into racing the Unadilla GNCC. We were pitted beside him, and he was patient enough to put up with our barrage of stupid questions and chronic tool and zip-tie mooching. The funny, friendly rider has busted himself up over the years but kept bouncing back. His last crash was serious though, and his fans feared he was down for the count. Then news trickled in that Watts had signed up to race the two Alberta rounds of the 2010 Royal Distributing/Parts Canada Canadian Enduro Championship. I caught up with Watts for a phone interview while he was driving down I-95 on his way to Florida to discuss the Canadian races and his DirtWise riding schools. DMX: Shane, first things first. How are you doing? Shane Watts: Everything is going good Dan, I’m just trying to get better. These things take time, but I’m riding again and it feels good. With more time on the bike and some more rehab it will keep getting better. My back will never be like what it used to be, sort of like the rest of my body…we all have our permanent injuries. You just deal with them and move on. If you don’t mind me asking, how exactly did you get hurt? It was just a small, dumb crash. It was a small drop-off and the engine stalled on me. I was only going five miles an hour and the front end dropped straight down into a three- metre deep creek bed and I went straight over the handlebars. The bike drilled me in the back and broke five vertebrae. They ended up fusing six of them together, making them rock solid in somewhat the right position. I went and saw the doctor the other day and he gave me the green light, so I’m good to go. Ya, it could have been way worse…but then again it didn’t have to be that bad! So lets talk about Canada. You signed up to race the Alberta CEC rounds? It looks now like I will be racing both the Alberta and British Columbia Canadian Enduro rounds. I’ll be doing the Saturday and Sunday races in each Province plus teaching my DirtWise schools on Thursday and Friday. It should be a good time. That’s great news. Hey, in between races Guy Perrett invited me for a trail ride. You in? For sure! Yeah, I plan on doing some trail riding during the week in between the races and my schools. I don’t plan on sitting beside a lake and fishing, I’m going up there to go trail riding! I’ve been in Kamloops before with Guy Perrett and it was just sensational. So I’m really looking forward to going back there. I’ve heard about Alberta too, so I am really exciting about not only doing my schools and racing there but taking the time to do some awesome singletrack riding. I heard something about that, but with all the schools my schedule is so full. Pretty much every day of 2010 I have accounted for. How have your DirtWise schools been going? The schools are going ballistic here in America! There are 50 States and only 52 weeks in a year. I have to make sure I put my schools in the right spots, especially when I am doing a few up in Canada as well. The demand is huge…I wish there were two or three of me! I’ve been doing the schools up in the Ganaraska forest North of Toronto for the last couple years and it’s always a really good time. There is great terrain up there and it’s always nice to hang out and meet everyone. Will you be racing any GNCCs in the ‘States this season? I’ll be doing the first two GNCCs, but they will basically be the last two that I do. I’ve moved on now and schools are my focus. I’ll be riding some AMA National Enduros and those Canadian ones out West, but I just don’t have time to train enough to be at the top level to race the GNCC series and run my schools The GNCCs I ride will just be for fun with my friends and that’s it. We’ll look forward to seeing you in Canada this summer. But in the meantime, be careful man! No worries Dan, Take care and I’ll see ya in a couple months. 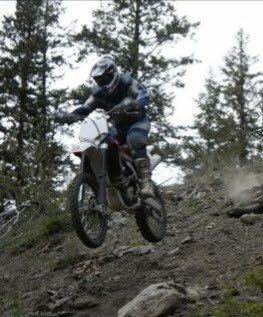 Canada's first Extreme Hard Enduro is scheduled to take place this summer (2010) in Patricia, Alberta. Event organizers are hoping to attract not only Canada's best, but some top notch riders from around the globe. Dinosaur could survive this place! Now for the first time in Canadian history, a premier ‘Extreme Hard Enduro’ event will be staged in the ‘Badlands’ where the Dinosaur species came to rest… This event will test the desire of the modern day Off-Road motorcycle enthusiast and present those brave enough a chance to beat XTINCTION!!! “We have recently secured access to an incredible area for XTINCTION. It is the most compact ~ gnarliest terrain imaginable and will offer unbelievable spectator and media viewing opportunities! Best of all, it is the perfect place to showcase the immense skill and precision of the competitors” adds Fryberger. The event will offer a significant purse to attract the best riders from Canada, the U.S, and even Europe. In addition, a CMRC sanctioned Harescramble event will be help the day prior to allow the vast majority of enthusiasts a taste of the ‘Badlands’ without the potential of facing XTINCTION! Further details coming soon at www.cornergrass.com. If you were at the Toronto Motorcycle show you've already seen it, but if you're in another part of Canada; relax... You might get a chance yet. Honda Canada is bringing the new VFR1200FA on tour with them. PS - We're going to be getting some tickets for the Moncton motorcycle show and we'll be having a contest to give them away (starting Jan 18th). 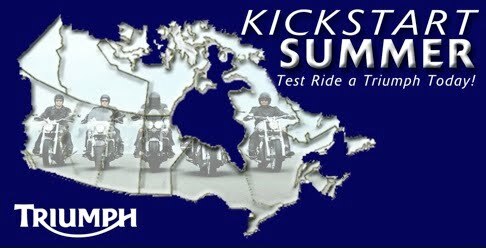 Keep an eye on CanadianMotorcycleRider for details! If you just CAN'T wait then, you may want to check out the video Honda has posted from the Toronto Motorcycle show HERE. Since the announced discontinuation of Buell™ production by Harley-Davidson Motor Company in October, various speculations and rumours have formed around Canadian racing activity. At this stage, Deeley Harley- Davidson® Canada is proud to announce that it will stay true to its roots in racing and has committed to be on board for the 2010 Parts Canada Superbike Championship, which incidentally marks the series’30th anniversary. The categories supported will be the Pro Superbike, Yoshimura Pro Sport Bike and the new Sports Twins Pro/Am Classes as well as the Western Canadian Championships. With a different set-up than the previous year, dictated by the tightening of budgets for many manufacturers, the 2010 series will consist of an opening round followed by three double-headers. The Deeley Racing/Ruthless Racing Inc. team will consist of the experienced Darren James – team owner/rider no. 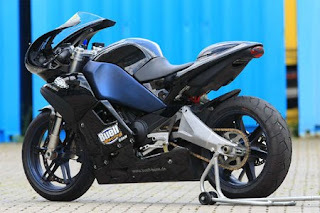 29 – racing in the Pro Superbike and Yoshimura Pro Sport Bike categories on 2009 Buell™ 1125R™ bikes, with the possibility of Olivier Spilborghs joining in and racing in the Sports Twins Pro/Am Class. Deeley Harley-Davidson® Canada is pleased to once again support this national sport and wishes the Deeley Racing/Ruthless Racing Inc. team a successful upcoming season. CONCORD, Ontario (November 24, 2009) – It is that time of year again when inclement weather may lead many of us not to be able to actively pursue the art of motorcycling. The next best thing to do is to spend time admiring motorcycles with family and friends, and luckily enough, the MMIC Canadian Motorcycle Shows offer a perfect platform to display the new Harley-Davidson® motorcycles across the country. The line-up will include the premium 2010 Harley-Davidson® Electra Glide® Ultra Limited motorcycle with its enhanced performance features, making it the must-have for the Grand American Touring aficionado, the funky 2010 Harley-Davidson® Fat Boy® Lo motorcycle with its bold and suave profile, as well as the Sportster® Iron 883TM motorcycle, which allows even the most inexperienced riders to embrace the pure essence of riding. With a variety of exciting activities including demonstration of bike lifts for women, motorcycle customization displays, UFC video game challenges, as well as free give-aways, such as “How-To” kits, and the chance to win great prizes, the upcoming motorcycle shows allow us the pleasure of sharing our love of the open roads with you. Well the title kind of says it all but DirtTV has posted some high quality posts Canadian Enduro Champtionship video's on YouTube. The video's are from Rounds 1 & 2 of the 2009 Royal Distributing Canadian Enduro Championships in Blairmore, Alberta. There's lots of exciting footage here. Enjoy! Check one out, then let us know about it! Helen Upperton, Canada's top bobsled driver and Calgary resident, is a bit of a daredevil. She likes to travel down a twisty icy track at 150 km/hr. Now she's had the chance to go a similar speed on two wheels. She bought her first motorcycle, a 1100 cc Yamaha V-Star cruiser. An 1100cc bike is not a typical first time rider bike but Upperton isn't a typical rider either. 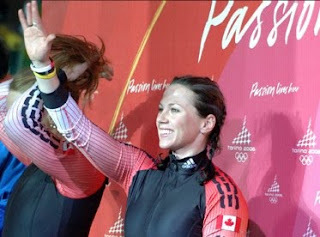 She bought her bike after the 2006 Olympics in Turin Italy as a present to herself for her fourth-place finish. In a recent interview with driving.ca she said riding her motorcycle at 150 km/hr makes her realize just how crazy bobsledding is! There's so much going on during the bobsled run that you're not really paying attention to the speed as much, but on a motorcycle you're "out there" and more exposed to the wind. The parents of the 29 yr old Upperton aren't said to be too thrilled about the motorcycle, her coaches haven't really said too much about it, and she's been told by several people that they think the bike is too big for her. She takes it all in stride though and plans to enjoy the off-season from her winter training and competing. Her teammates, well they just want to go for a ride with her! They've already experienced riding with her at speed. It's perhaps a little early to be thinking ahead to December and the new year for some, but for others who like to plan well in advance - break out your schedule - you won't want to miss this! Dates for the first four of seven events of the Motorcycle & Moped Industry Council (MMIC) new model tour and showcase have been set. The event travels coast to coast each year, bringing riders and media their first glimpse of the new models, gear and accessories. The Toronto Motorcycle Show marks the first of the events, followed by Calgary, Edmonton, and Vancouver. 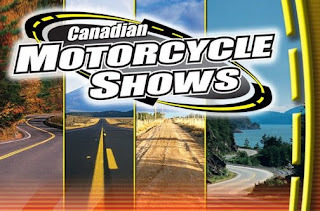 Keep an eye on the Canadian Motorcycle Shows website HERE. Harley Davidson is BIG on demo days and they take their bikes clear across the country offering riders a chance to see what makes riding a Harley Davidson so appealing. Revised overall Pro Points for CEC after 2 rounds. We received word from the folks at the Royal Distributing Canadian Enduro Championship that they have a revised list of the overall Pro points after the first two rounds in Blairmore Alberta. Albertan teens - let them ride! Some new changes to the province of Alberta's transportation rules mean that 14-year olds are going to have some new options for getting around on a moped. In Alberta, teens 14 and older who get a Class 7 learner's permit can legally ride insured mopeds (scooters). The previous legislation said that the mopeds had to weigh between 35 and 55 kilograms and were limited to a maximum speed of 50 km/hr - which was a little difficult. Because of the weight restriction even the smallest scooters around, at 50 cubic centimetres, were mostly classified as motorcycles in Alberta because they typically weigh more than 55 kilograms. 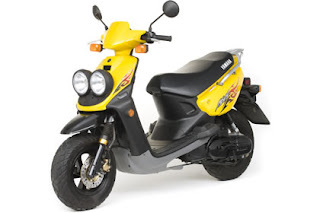 As of Wednesday, July 1st/09 the definition of mopeds changes so that they're considered vehicles that can travel up to 70 km/hr and the weight restrictions are gone. 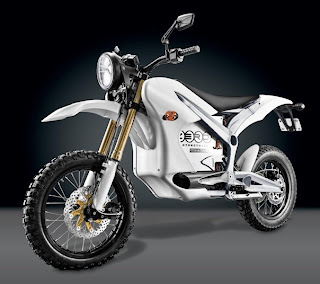 But they need to be powered by an electric motor or engine with a displacement not exceeding 50cc's. The regulation changes bring Alberta's definition of a moped into closer alignment with that of Transport Canada. Hot off the presses from the World Enduro of Canada. The season opener and round 2; both in Alberta were very successful. Day two of the Royal Distributing Canadian Enduro Championship was another beautiful day in Canada`s glorious Rocky Mountains. Riders enjoyed another great day of riding in the high altitude. The time controls were tightened up for the Pro and A riders today, giving them 2.5 hrs to complete the loop as opposed to the 3 hours on Day 1. In addition all riders were given another opportunity to improve their score by running through the cross test an additional time at the end of their day. The Pro`s and A riders did two loops and all the other classes ran one. The results were a bit different today as some of the riders who finished down in the results stepped up their game for day 2. For full results from both days go to our results page. Day one of the Royal Distributing Canadian Enduro Championship was a stellar success. The Full Gas crew put together a 50 km loop of technical trail that thrilled the Pros and challenged the amateurs. Some of the eastern riders who traveled out for the event said it was easily the most thrilling riding they have ever done. The trail took the riders from the 4500 ft base camp up to 6500 ft elevation where they rode beside snow drifts and took in spectacular views. The results showed the western riders certainly had a home court advantage but many of the eastern riders indicated they are pumped to up their level for Day 2. You can view a partial results list on our events page. TORONTO, Ontario (June 24, 2009) – The team riders are ready for this coming weekend’s Parts Canada Superbike races at Race City in Calgary, Alberta, round three of the National Road Race Championships. After two rounds, the Deeley racers are well placed for a run at two separate championships. In the premiere Parts Canada Superbike class, Steve Crevier currently sits in fifth place after his fifth place finish at round one in Calabogie, Ontario, and after his inspiring ride to fourth place at the round two race in Montréal. Last year in Calgary, Steve was forced to retire from the race early after a minor mechanical glitch. All three Buell® 1125RTM bike riders will compete in the Yoshimura Sportbike class and are placed as follows after two events. Steve Crevier holds sixth position, Darren James is in 11th, and Dave Estok is holding 13th. 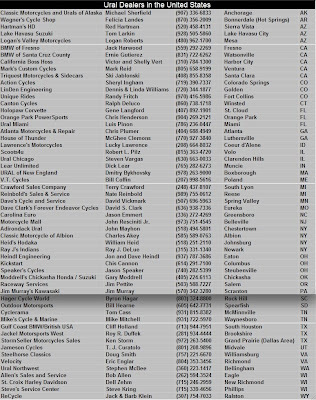 Had it not been for an unfortunate crash at the Mirabel race, Dave would be much higher in the standings. Practise starts Friday for round three of the 2009 series, with qualifying and Pirelli Superpole on Saturday, and a full card of National Championship races on Sunday. For further information on the track, please refer to www.cdnsuperbike.com. Ducati North America - Brining some of Italy to a Canadian town near you! The big Ducati truck filled with the latest 2009 season motorcycles from Italy is going to be making it's way across Canada. It'll be making fourteen stops along the way so that you can demo their machines. The tour also supports a charity too so you pay a small fee to ride and the money goes to charity. I believe it was $20 a ride last year and the ride lasted about an hour. Toronto, ON (15 April 2009) - Ducati North America is pleased to announce the 2009 Ducati Canada National Demo Tour, an opportunity to sample the 2009 model lineup while supporting the Canadian Cystic Fibrosis Foundation. The annual event begins April 25th in Vancouver, BC and has stops at authorized Ducati dealers across Canada, concluding June 19th in Dieppe, NB. The demo tour offers a unique opportunity to sample Ducati’s most popular models in a fun riding environment, and meet with both Ducati and dealer staff to learn more about the Italian manufacturer’s handmade motorcycles. For 2009 the Ducati demo tour will be teaming up with Canadian Cystic Fibrosis Foundation; requesting a voluntary $10.00 donation collected from participating riders. Last year Ducati demo riders contributed over $4000 to the foundation, and had a great time doing it. Ducati North America hopes to raise even more in 2009 to help this worthy charity. For more information about the 2009 Canadian demo tour, as well as details regarding safety requirements and the models available, please visit www.ducatiusa.com. Ride for Sight is the longest running motorcycle charity fundraiser in Canada; the first ride began in 1979 in Central Ontario. 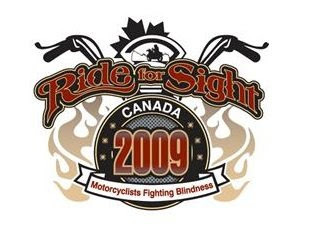 In 2008, eight Ride for Sight events will be enjoyed in seven provinces across the country (Alberta, Saskatchewan, Manitoba, Northwest Territories, Maritimes, Newfoundland, Central Ontario and Northwestern Ontario); each regional Ride has its own unique features. Annual Ride for Sight weekend celebration events are supported in part by generous corporate sponsorship and are organized by volunteer Ride for Sight Planning Teams. 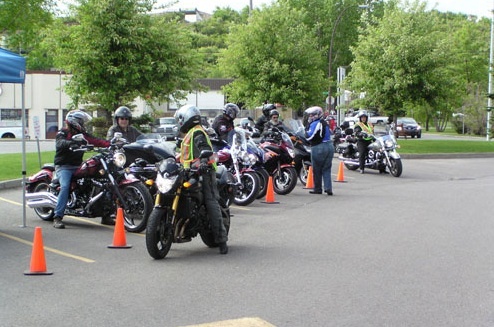 While Ride for Sight participants are primarily comprised of motorcyclists -- volunteers, fundraisers and supporters also include non-motorcyclists and families affected by retinal diseases. Ride for Sight is the single largest private fundraising initiative for vision research in the world. To-date, Ride for Sight has raised more than $17 million in support of the Foundation Fighting Blindness, the only organization in Canada whose sole mandate is to fund research for blindness caused by retinal degenerations. For all the Ural owners and prospective owners - we've gathered up a listing of the Canadian and US Ural retailers in Canada and the US. The list was published by Ural so should be current as of March 18th/2009. It's a handy refernce if you've got a Ural and plan to do some adventure traveling - as Ural owners are prone to do. Click on the pictures for a larger version. The Sportman's Motocycle Show made its first stop in Calgary this past weekend. Next up, Edmonton! The Edmonton Motorcycle Show is the Canadian Motorcycle and ATV industries’ official event for the launch of new 2009 models. Featuring the latest products, services and accessories direct from the manufacturers, including Honda, Yamaha, Kawasaki, Suzuki, Harley-Davidson, BMW, MotoGuzzi, Buell, Aprilia, Ducati, Polaris, Triumph, Victory, KTM, Hyosung and BRP. In addition, the Edmonton Motorcycle Show will feature extreme MX Freestyle, Motorcycle Stunt Riders, top Canadian indoor racing, the Yamaha Riding Academy for kids 6-12, a variety of retailers, rider clubs and associations, celebrity racers, informational displays, prize giveaways and vintage motorcycles display. The Edmonton Motorcycle Show is a co-operative effort between the Motorcycle and Moped Industry Council (MMIC), Canadian Off Highway Vehicle Association (COHV) and Canadian National Sportsmen’s Shows. For more details check out the website here. 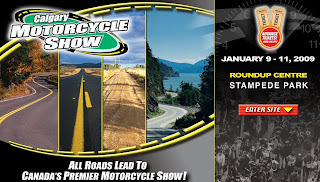 Canadian National Sportsman's Shows are holding the Calgary Motorcycle Show this Friday Jan. 9th, through Jan. 11th. The Calgary event has been wowing the crowds since 2001. This year looks like it'll be no exception, with over 30 major manufacturers of motorcycles, scooters, and off-road vehicles in attendence there is plenty for everyone to enjoy. There's going to be a lot more than just manufacturer displays though - that's just scratching the surface of what you'll see. Just a few of the highlights include Canada's top freestyle bikers putting on a show, you'll get to see Orange County Chopper's custom-made I-Robot bike, and none other than Speed TV's Super Bikes host and renowned stunt rider Jason Britton will be on-hand to sign some autographs. The Calgary Motorcycle Show is the Canadian Motorcycle and ATV industries’ official event for the launch of new 2009 models. Featuring the latest products, services and accessories direct from the manufacturers, including Honda, Yamaha, Kawasaki, Suzuki, Harley-Davidson, BMW, MotoGuzzi, Buell, Aprilia, Ducati, Polaris, Triumph, Victory, KTM, Hyosung and BRP. In addition, the Calgary Motorcycle Show will feature extreme MX Freestyle, Motorcycle Stunt Riders, top Canadian indoor racing, the Yamaha Riding Academy for kids 6-12, a variety of retailers, rider clubs and associations, celebrity racers, informational displays, prize giveaways and vintage motorcycles display. The Calgary Motorcycle Show is a co-operative effort between the Motorcycle and Moped Industry Council (MMIC), Canadian Off Highway Vehicle Association (COHV) and Canadian National Sportsmen’s Shows. Here's the link if you'd like more information. Warning - audio automatically plays upon launching site. Western Canada's largest custom bike show is coming up and we've gotten an update from the organizers. "As far as exhibitors are concerned, we have stock bikes such as Harley Davidson, Victory etc as well as custom builders. This year we have everything from rider apparel to tattoo shops and airbrush artists. We are working on some hot rod shops as well. If it's cool and custom we want to have it at our show!" It's going to take place in Westerner Park, Alberta between January 23 and 25, 2009. Seems like it'll be a great time for the custom crowd! Canadian Enduro Championship (CEC) in 2009 and beyond! Canadians will finally have a bonafide Canadian Enduro Championship (CEC) in 2009 and beyond. The competition format is based on the World Enduro Championship, 3 different (Cross, Extreme and Enduro) timed special tests and shorter loops of trails connecting the test. WEC purchased a computerized timing system that uses programmable transponders the system provides prompt, accurate results. riders, give sponsors good return on their investment, stimulate the off-road motorcycle market, decide who the fastest off-road riders in Canada are in both Pro and Amateur classes, provide spectators entertainment and most of all give the competitors an overall positive experience. Incentives will be in place for riders to travel to the four events which are scored separately each of the two days. Arrangements have been made for a motorcycle transportation package through sponsor Brian Kurtz Trucking, Guelph, On. For $700 a bike, gear bag, 2 spare tires or pop-tent will be transported to each of the 2 'Away' events and back. Motorycles will be delivered to each event site. Also any Canadian-based rider who crosses the Manitoba/Ontario border and competes in the entire series gets a free entry to the 'away' events. Entry fees are set at $100 per event, each competitor must purchase or rent a transponder for $40 and join the MCC. The motto of the CEC is "The Fastest Rider Wins". Because the format of the competition aligns with what happens in most of the world WEC expects Canadian riders to become more competitive in international events in the future. For more information interested parties can their questions via e-mail to our website. The Motorcycle & Moped Industry Council is gearing up for the annual motorcycle show circuit. There's going to be a big show in several Canadian Cities this year. Toronto, Calgary, Edmonton, Vancouver, Quebec City, Moncton, and Montreal. Ouch - Now that's a fine! A motorcyclist from Alberta was fined a whopping $12,000 in an Edson, Alberta, traffic court recently for speeding at over twice the limit. The 34-year-old rider was busted on May 1 on the Yellowhead highway (16) between Edson and Hinton, Alberta, where the posted limit is 110 km/hr. He was just a touch over the limit having been clocked at 263 km/hr on a 2005 CBR1000RR. RCMP say the rider did not realize he was being chased until he pulled into town at Hinton, where he was pulled over. He was "completely cooperative," police said. He made a deal with the Crown which let him keep his licence, but it cost him! "I've never seen a fine like that before," said RCMP Sergeant Ron Lyons. "A fine of $1,000 is usually a lot." A new Crown prosecutor is apparently trying to bring home the message that speed is bad. This past Saturday (June 7th) was the 28th annual Ride for Sight and it drew participants from the four Atlantic provinces. If you don't know what it is - The Ride for Sight is the longest running motorcycle charity fundraiser in Canada and the single largest private fundraising initiative for vision research in the world. To-date, Ride for Sight has raised more than $16 million in support of the Foundation Fighting Blindness, the only organization in Canada whose sole mandate is to fund research for blindness caused by retinal degenerations. A very worthy cause. The chairwoman for this year's event was Ms. Fraser-Parks has been participating in the event since 1996. "Friends brought me to my first one and I just fell in love with the cause," she said just after parking her motorcycle and turning off the engine. "Taking part in the ride enables me to combine something I love doing — driving bikes — with something worthwhile, which is helping find a cure for a variety of retinal diseases that cause blindness." Ms. Fraser-Parks mentioned that as a diabetic she realizes there is a possibility she could become blind. "Experiencing what I have and knowing what I might face puts things into perspective." Each of the bikers who participate raise funds all year, and their pledges are recorded in donor books that are turned in when they register for the ride. "Last year we brought in $37,000 and I hope we can blow that figure out of the water this year," she said. "I think we can because the weather is a lot better today than it was last year. We’ve attracted bikers from the three Maritime provinces and Newfoundland." The full tally hasn't been made yet but she pointed out that bikers who registered early Friday evening had already brought in $10,700. "A lot more bikers have joined us since then, and to those pledges we will add the proceeds that we raise through the auction, which is getting bigger and better every year." There are more events scheduled for other parts of Canada soon. For more information about Ride For Site visit their website here.